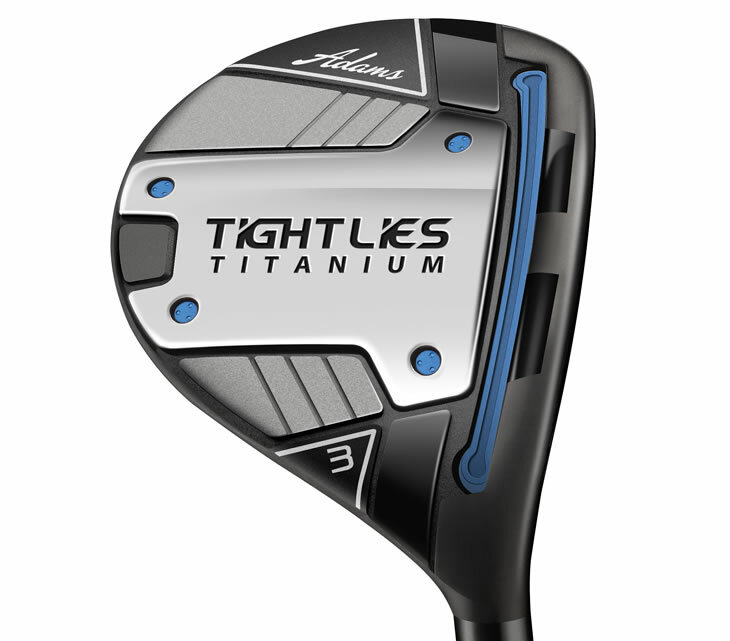 Adams Golf says its new Tight Lies Ti is a fairway wood that's really easy to use and gets your ball out of all types of situations. You'll notice it's not flat or curved on the bottom, it actually has a tri-level sole which works better than traditional fairway woods on a tight lie, a thick grassy lie, out of the sand, or even from a divot. The club features award-winning, fifth generation Ghost Slot Technology, which as the name suggests, is hidden into the crown. This was done as there was some criticism about the visible Velocity Slot Technology in the crown of previous Adams hybrids. Same low profile as the Tight Lies FW with an upside-down Tight Lies style, but as the name suggests, this one features a Titanium clubhead with a 75-gram steel plate to provide the lowest centre of gravity ever in an Adams fairway wood. In all honesty, two testers felt the sole plate made the club look a bit cheaper. Nevertheless, Ghost Slot Technology is once again hidden and the crown design appeals to the eye. No glare out in the sun, too. Two testers felt there was a little more of a 'muted' feel about this one. Nothing harsh, just not quite as 'pure' as the Tight Lies fairway wood. One tester thought it felt a little flimsy than some of the others. Very nice interaction between club face and lie, though. Once again, very powerful and easy to launch high with the low CG on offer. Certainly a little longer than the Tight Lies before it, but not quite as forgiving off the deck. All testers found it performed much better off a tee peg than the deck. Given it costs £50 more than its brother, the Ti is a little disappointing given how impressive the Tight Lies was before it. Nevertheless, plenty of distance to be had out of it, it's a real bullet off a tee peg. All four testers agreed they preferred the feel and look of the standard Tight Lies though.